Chiron Health makes it a snap to see your patients via video. 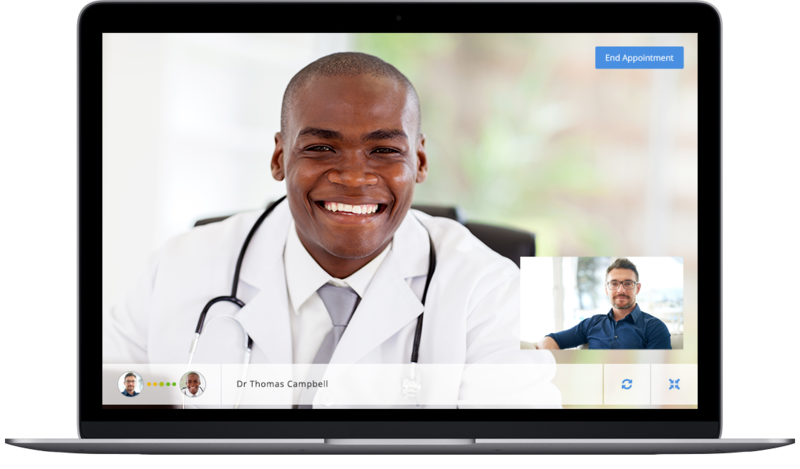 Our easy-to-use telemedicine software allows physicians to connect with patients for routine appointments from anywhere. Fill out the form and enter payment information. After your free 14 day trial you will pay only $120 / provider / month ($1440 billed annually). You may cancel at any time within the trial period at no risk. 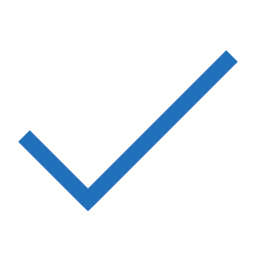 Once our team customizes and activates your account, you will receive an email to begin onboarding and training (may take up to one business day - usually less). Is your EHR already integrated? [fa icon="plus-square"] Is the solution secure and HIPAA compliant? Absolutely! Video encryption, secure account access, and handling of patient data is all done in compliance with HIPAA privacy standards. [fa icon="plus-square"] Can I see new patients using video visits? Unless you are prescribing a controlled substance, a patient-physician relationship may be established over telemedicine in most states. [fa icon="plus-square"] Will insurers reimburse for telemedicine? In many cases, yes. Most states have legislation requiring private insurers to cover telemedicine visits at the same rate as an office visit. In other states, many payers choose to cover video visits as they see downstream cost savings.. Chiron health removes the guesswork by instantly syncing patient insurance information to perform a telemedicine-specific eligibility check – with guaranteed reimbursement! NO - unfortunately traditional CMS plans restrict the location of the patient to a qualifying originating site. Don't worry, in some cases you can charge ineligible patients a self-pay rate. We'll notify you of patient eligibility before the visit. Read more here. [fa icon="plus-square"] How do patients and staff get technical support? Your staff and patients can chat with our live technical support team directly in the platform; they can call us at (800) 768-8131; or send an email to support@chironhealth.com. [fa icon="plus-square"] How are video visits scheduled? Video visits are scheduled in your EHR or practice management system just like an in-office appointment. Chiron integrates with many of the leading outpatient EHRs. If you don’t have an EHR or choose not to integrate your system, you can schedule visits with just a few clicks in the platform. You can see a list of available EHR integrations here. [fa icon="plus-square"] Is the quality of care the same as an in-person visit? The quality of telemedicine as a method of healthcare delivery is confirmed by decades of research and demonstrations. Video visits have been found to be a safe, cost-effective and convenient way to provide healthcare services. Not all cases are appropriate for remote care, of course. the most common CPT codes used for remote visits are 99212-99214. [fa icon="plus-square"] What types of visits are a good fit for video? A wide range of care can be provided over a remote connection, the most common include follow-up appointments, medication refills, diagnostic test reviews, mental health services, weight management, and smoking cessation consultations. [fa icon="plus-square"] What is the definition of a paying provider? Only clinical providers conducting video visits count as paying providers. Office staff responsible for scheduling, billing or other administrative tasks are not billed. Unlimited live video visits See your patients over high quality live video. Video visits are reimbursable at the same rate as a comparable in-person service. EHR integration* With any of our integration partners (URL) and other compatible systems. No integration? No problem! You can document the visit in any EHR just as you would for a normal in-person visit. Patient mobile apps Allow your patients to connect from anywhere with our iOS and Android patient mobile apps. Fee schedule customization Customize appointment types and self-pay rates. Collect the right amount and get paid for every visit! Patient payment collection Collect patient co-pay or self pay rates - get paid for every visit regardless of payer coverage. Web application Upload your practice logo so your providers and patients are interacting with your familiar brand. Patient mobile apps Turn the patient mobile experience into a high-quality, custom branded mobile app. Patients can find your app in the app store! Patient marketing Target patients that are most likely to schedule video visits with email or SMS notifications, and allow them to request appointments when they need care. You don't need to be a marketer - we'll handle this for you. Custom web page Add a custom branded telemedicine web-page (link - sample) to your main site to field patient appointment requests. No website? Use the telemedicine web-page as your main site! Marketing materials Professionaly designed in-office marketing materials. We'll ship posters for all of your exam rooms, and sample brochures which can be ordered from our store (link) at any time. Business Associate Agreement Required for HIPAA compliance. This agreement holds our team to the same privacy standards as employees of your practice. Online Training and Help Center Our self guided training allows providers to learn the basics on their own time, at their own pace. For the self-suficient telemedicine provider, on-demand access to best practices and help articles. Live appointment support For patients and providers. Our fast and friendly technical experts are available via chat, email and phone from 8am-8pm, Monday-Friday. Want to conduct visits outside of support hours? Our cloud based platform is available 24-7-365. Professional services - custom onboarding and implementation support For more complex implementations, we're here to assist. From recommending best practices for marketing telemedicine, to reimbursement consdiderations, our team of experts is available to help larger groups customize the implementation process to fit their needs. Am I reading this correctly? Every feature is available on each level at no additional cost? Yes, our mission is to improve access to care for everyone. So rather than nickel and dime our clients by withholding key pieces of functionality for an additional fee, we offer our full-featured platform for $100 per user per month to every one of our clients. Independent plans are $100 per provider per month, providers may cancel at any time. There are no implementation fees or upfront costs on the indepent plan. Fill out the free trial sign-up form and enter payment info. Once received, our team will configure your account. This process can take up to two business days, but usually happens within an hour or two. From the time you receive your login details, you will have 14 days to try our platform. You may cancel at any time within the 14 day trial period at no cost. At the end of the trial period you will be charged $100 per user, automatically renewing until you cancel. What is the onboarding process? Once we receive your trial request and payment info is on file, you will receive an implementation worksheet. Upon completion, our team will finish configuring your account. At this time providers in your group will receive emails providing access to our platform, and online training modules. How long does onboarding take? Typically it takes about two weeks for an independent or small group practice to complete onboarding and go 'live'. It can be done in a couple of hours if you're motivated, but two to three weeks is normal. Yes. Video vists are often reimbursable at the exact same rate as a comparable in-person service. Which payers cover video visits? Commercial payers generally cover video visits, in many cases they are required to by state law. Traditional medicare restricts the location of the patient, so video visits are generally an uncovered service. We verify eligibility for every appointment, and in the case that video visits are determined to be an uncovered service, we'll allow you to collect a self-pay rate from the patient. Is there a fee for patient payment processing? We do not charge an additional fee, however standard credit card processing fees of $2.9% plus $0.10 per transaction apply. The patient is required to enter a credit card in order to enter the appiontment. Upon completion of the appointment, the provider will indicate the appointment type, and charge the appropriate amount. Co-pay, deductible, self-pay rates will apply the same as an in-person visit. What if I don't want to charge patients through your system? No problem, we can turn that feature off. What is the best way to get help for live appointments? In-app chat is by far the fastest and most efficient way to receive help for live appointments. Is there a mobile app? Patients have the option to use our iOS or Android mobile application to access their appointment. Providers may access appointments from any laptop or desktop via our web platform. Yes. Privacy and security are our top priorities. All of our solutions are designed with HIPAA in mind. We will execute a BAA (link) as part of the sign-up process.